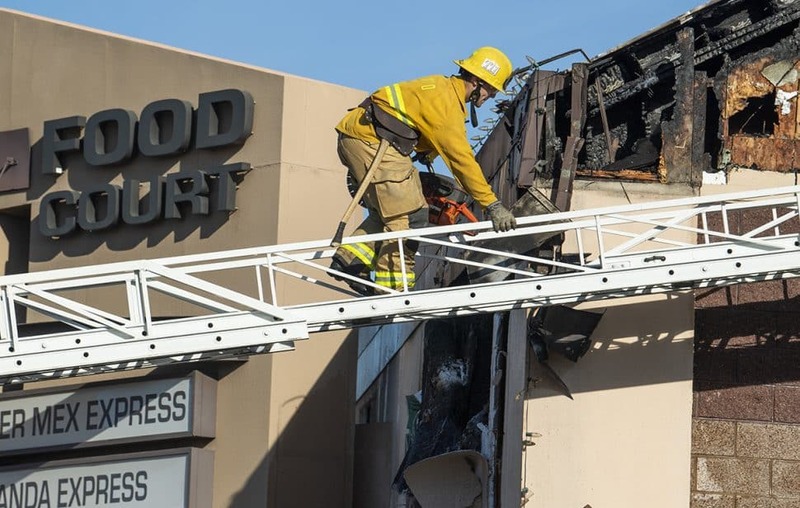 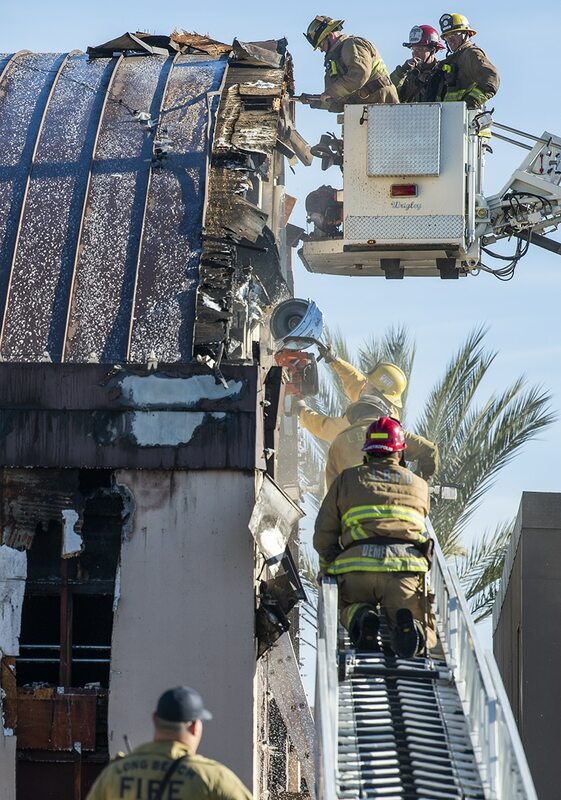 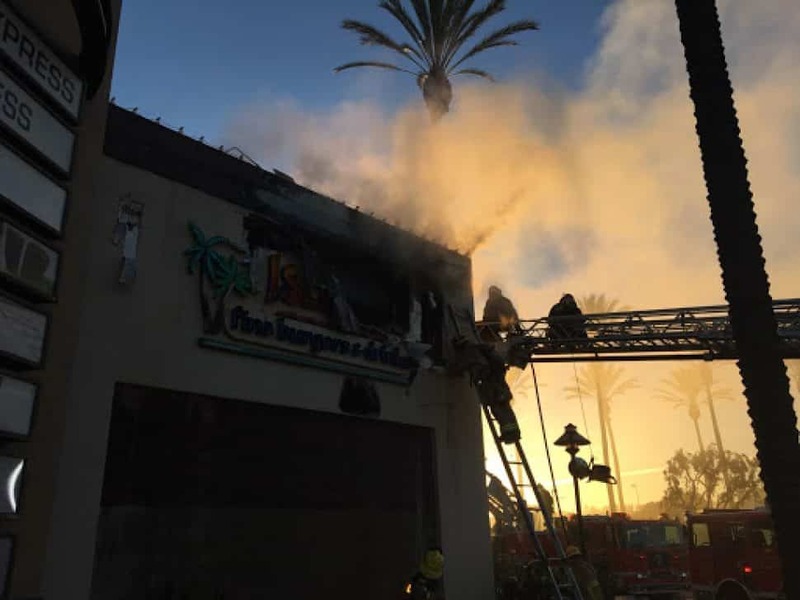 Over 70 firefighters battled a stubborn fire in the attic space of the Long Beach Towne Center’s Islands restaurant, according to authorities. People who were passing by originally reported the fire at 6 a.m., Saturday morning when they saw smoke coming from the building. 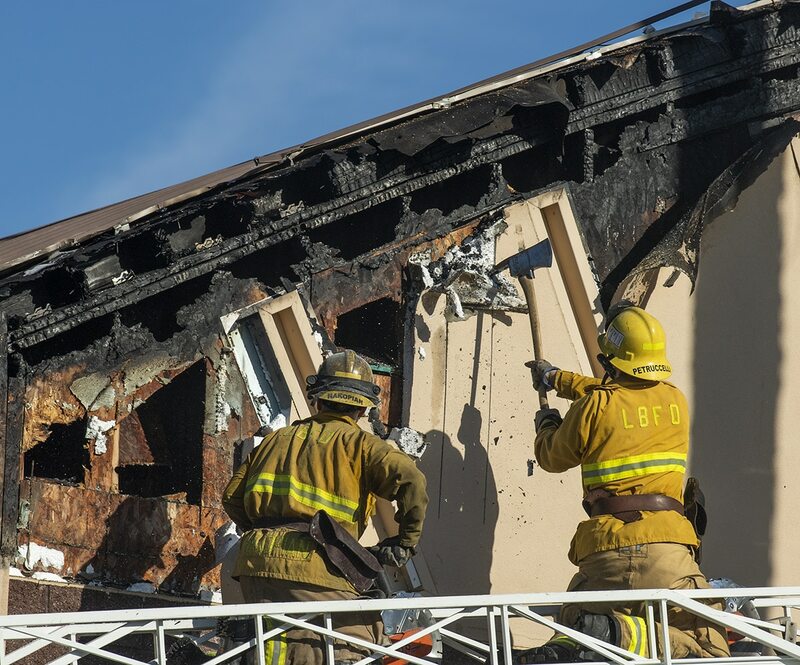 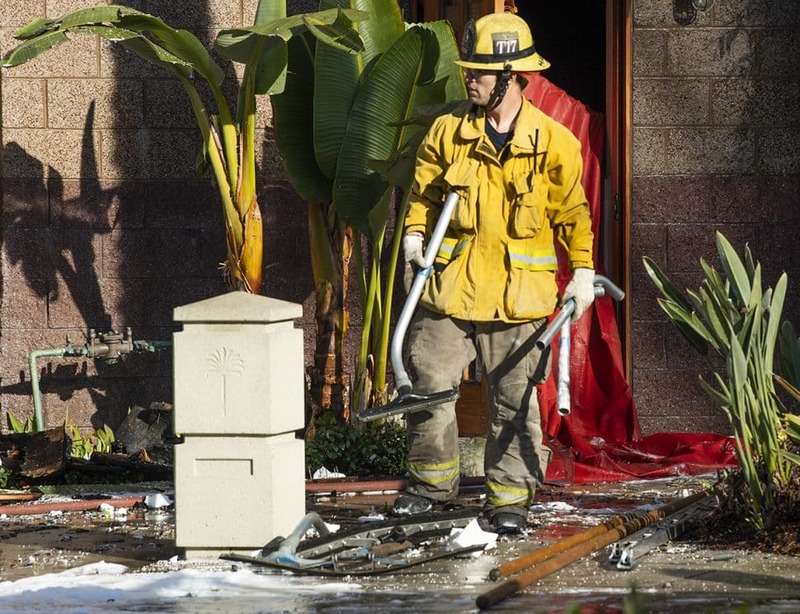 When firefighters got there, they realized the fire was smoldering in the attic crawl space, making it difficult for firefighters to access, Long Beach Fire Department spokesman Brian Fisk said. 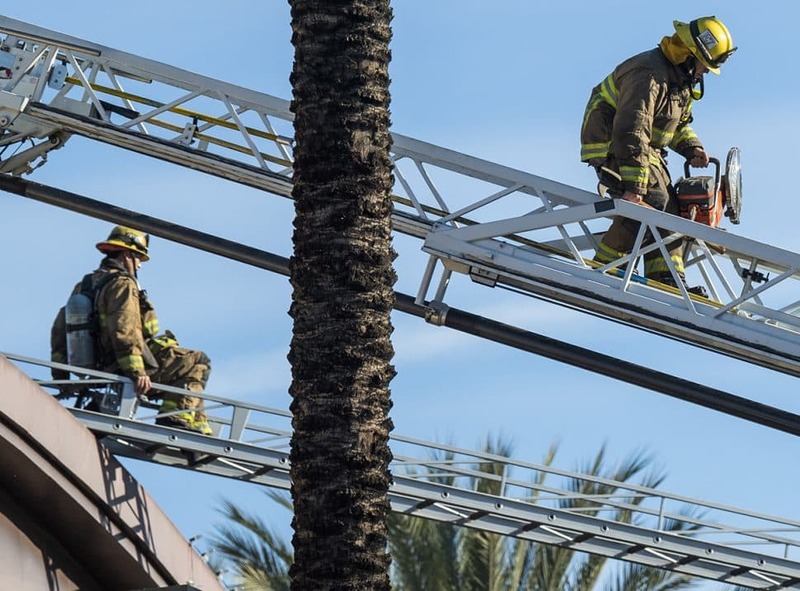 A small attic fire at Islands restaurant prompted a huge firefighter response early Saturday morning January 19, 2019. 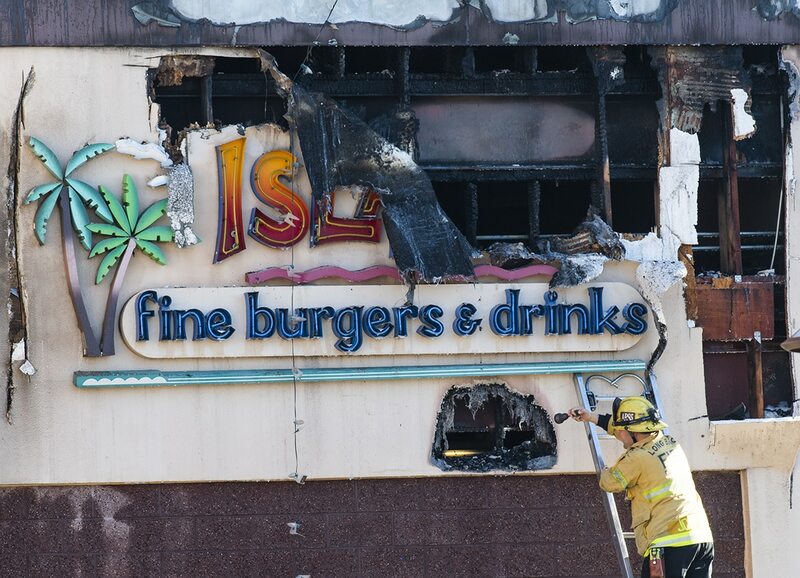 Photo courtesy of LBFD. 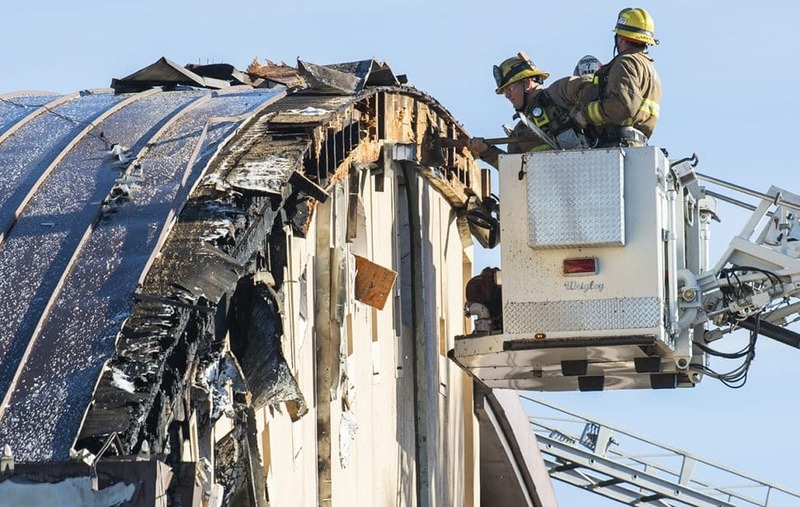 The body of the fire was knocked down by 6:30 a.m., but the crawl space was still smoldering until full knock down at 9:48 a.m. Despite that, the fire was labor intensive and quickly went to being classified as a 4-alarm fire purely to add more manpower. 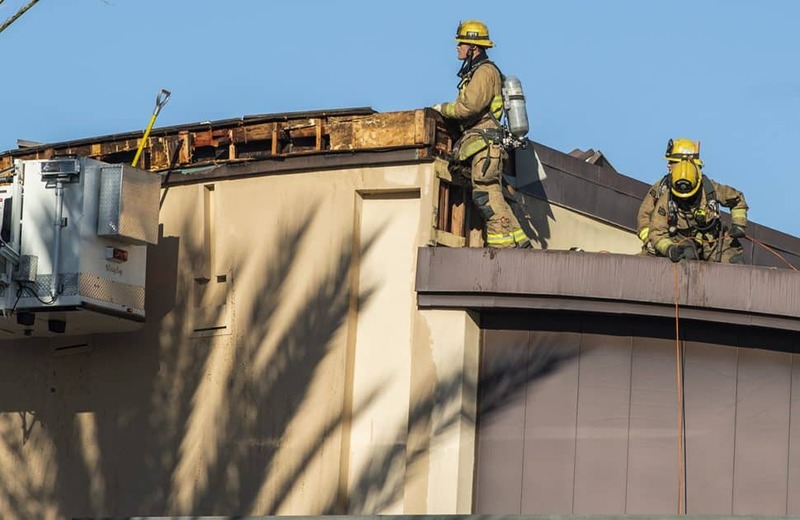 Firefighters had to use chain saws to open up the exterior of the roof to put out the smoldering parts, Fisk said. 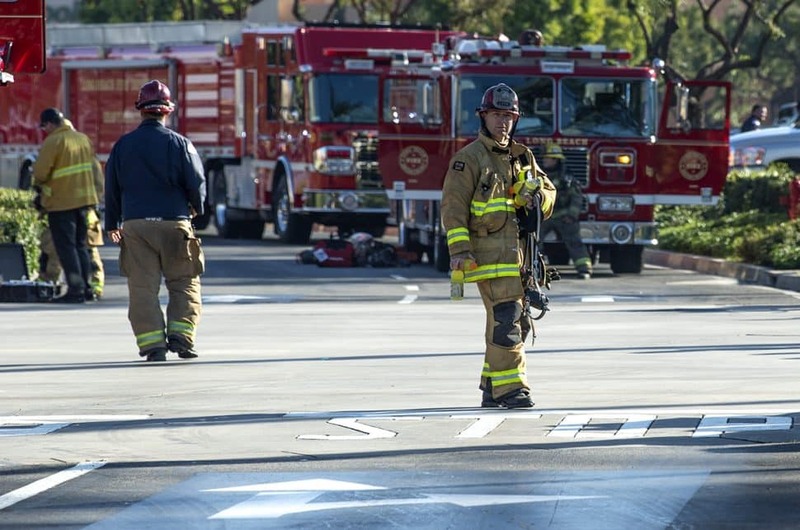 LBFD requested assistance from Los Angeles County Fire Department, Orange County Fire Department, Downey Fire Department and Compton Fire Department to backfill the stations in the city during the incident. 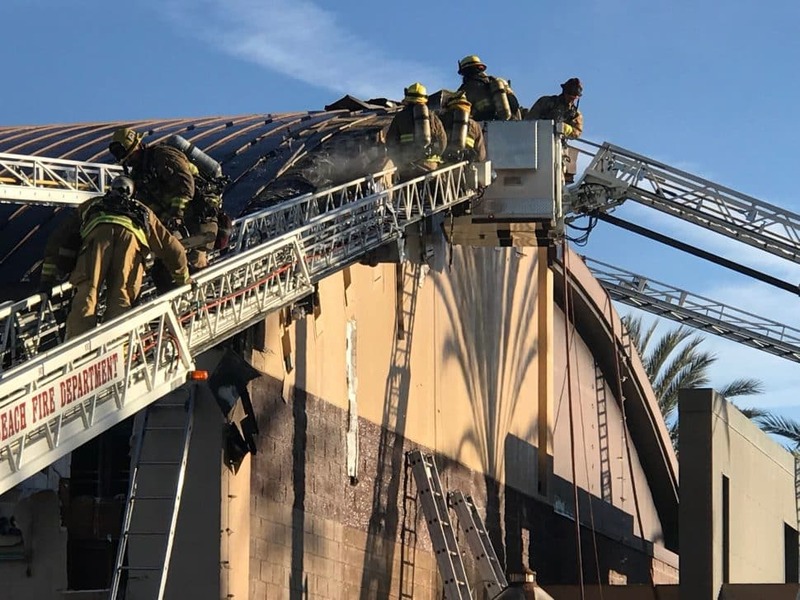 A small attic fire at Islands restaurant prompted a huge firefighter response early Saturday morning January 19, 2019. Photo by Tim Grobaty.